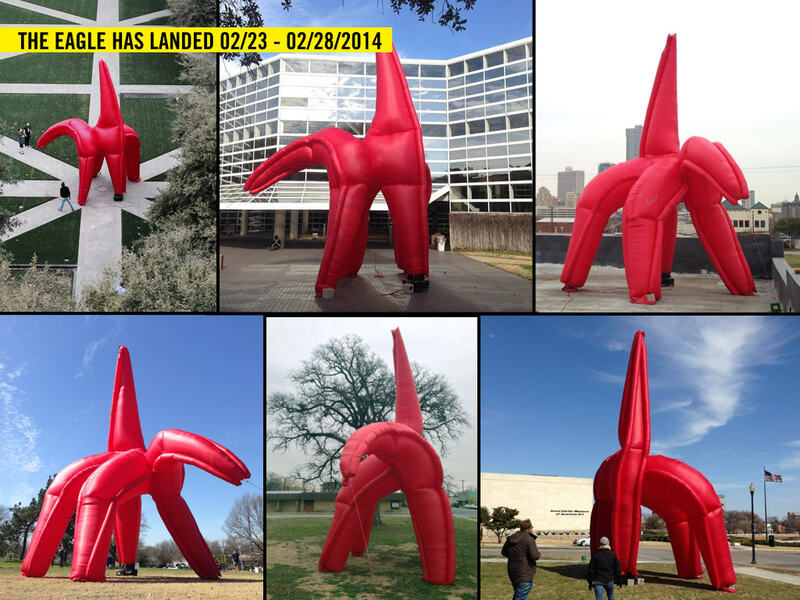 For a week-long city-wide event beginning Sunday, February 23, HC!’s THE EAGLE HAS LANDED will begin appearing north, south, east and west of downtown as it makes its way toward its final day-long landing in Burnett Park at 501 W 7th St, Fort Worth, 76102, from 11 am – 6 pm on Friday, February 28. Spontaneous landings will be tracked via Twitter and Facebook by HC! and our location sponsors, including Downtown Fort Worth Inc, Fort Worth South, FW Arts Council, and other community partners.